Top Adult Dinner Party Games to Liven Up Your Next Dinner Party! Here are some popular and fun adult dinner party games that you may want to consider for your next dinner party. Many of my adult game pages have ideas that would also be suitable for dinner parties, so make sure you check those out to if you would like even more game ideas. These games were chosen because they all known for getting a fun (often funny) flow of conversations started. Create 10 categories. If you have a theme, have the categories tie in with it. Now divide guests into two teams. Supply a pen a paper to each person. Call out a category. Everyone must write the first three things that come to their mind, no peeking at others answers. After every category count how many people on each team wrote a word that another of their team members wrote. Award 3 points for every word that 3 people had in common. Award 4 points for every word that 4 people had in common. Award 5 points for every word that 5 or more people had in common. Feel free to adjust point values by the size of your teams. 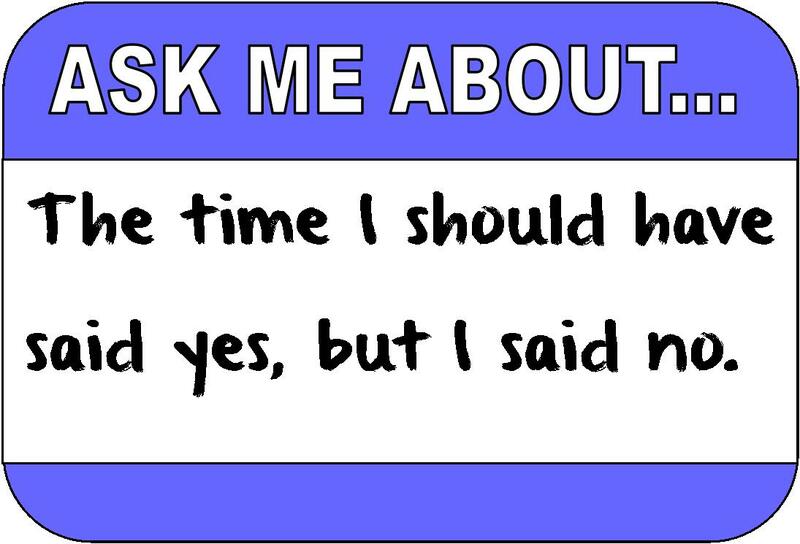 This is a fun icebreaker. Write the names of celebrities on index cards. When each guest arrives pin a card onto the back of their shirt, so they cannot see who is written on the card. Every guest gets a card and they must mingle and ask other guests questions to try and figure out who they are. Award prizes to the first to figure out who they are, or to everyone who figures out who they are within the first 30 minutes. ALTERNATIVE: If there are mostly couples coming to the party or an even number of guys and gals, you can have the celebrity cards have one party of a celebrity couple written on it. When they figure out who they are they must then work to locate their celebrity partner. Do not pair up actual couples, it makes it too easy. This is a fun game if you’re planning to have only couples at your party. It is inspired by the Newlywed game. You’ll need a pad of paper or a small dry erase board for each couple. You can usually find these at your local dollar store for a buck. What is your partners dream vacation spot? How does your partner prefer his eggs? What was your partners favorite subject in high school? What does your partner find most annoying about you? If your partner could pick one possession of yours to get rid of forever what would it be? What is one item your partner would be lost without? TO PLAY Have the women sit on one side of the room and the men on the other. Start the questions with the men, and hand out a notebook or dry erase board to each woman. Announce the first question. Before asking the men for their answers have all the women write down their response and place them down in front of them. Now go one by one to each man and ask his response. After he answers his partner can reveal her answer, if they match that couple receives 1 point. After asking all 10-15 of the man questions announce the half time score, and then switch over to the women. This time the men are given the dry erase boards and the women are the ones that must guess their answers. At the end of this round whatever couple has accumulated the most point’s wins. 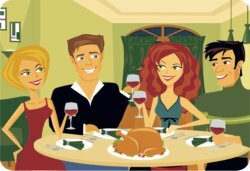 If you don't have alot of time to for the creation and set-up of this dinner party game consider the following board games that are very similar to the couple game. The outrageous game of truth! Discover how likeminded you and your friends truly are! This is a fun trivia game. You’ll need to come up with some famous or popular slogans. You can find a huge free list of slogans at taglineguru.com. Now all you have to do is print the ones you want to use for the game on a separate piece of paper. You then write each individual slogan on an index card. Number the index cards and have the numbers correlate to the answers on the answer sheet. Call out a slogan and see who can guess what product or company it belongs to first. You can keep score by letting the player who answers hold the card as a point, or just play for fun. Another fun party game that involves testing your knowledge of slogans and jingles in a fun way is The Logo board game. The picture to your right is a link that will take you to amazon.com so you can check out the game yourself and read what other people who have purchased the game thought about it. I love amazon.com more than ever because they have FREE SHIPPING now! Awesome! This is such a fun party game and so easy to implement into your party. Every guest receives a phrase that they must attempt to slip into casual conversation without someone realizing that this is there “slip it in” phrase. You can pass the phrases out as the guest arrive, or hide each one under the guest’s dinner plates. After a person uses their phrase they must wait 5 minutes (to give others a chance to call them out) before they can collect their prize. I recently read a book called “ Make Your Own Rainbow” and it has completely changed my life. Did anyone watch the kung fu marathon last week? One of the funniest parts of this game is watching each person try and stick with their story for the five minutes it takes before they can claim victory. When the guests arrive let them pick one to wear. This is a great game to help people start mingling and jumping past all the dull “weather” talk right to the fun stuff. In this party game the guests will be divided into groups of two. Draw out a lyric word from a hat and give both teams three minutes to compile a list of as many songs as they can think of that has that word in it. At the end of the three minutes let each team call out their list. Points are earned by whichever team has the most song titles. They are awarded one point for every additional song they came up with over their competition. For example if the first team got 5 songs and the second team came up with eight songs, then the second team would win 3 points because 8-5=3. Make sure you have the internet handy to verify the validity of any song titles that are disputed. 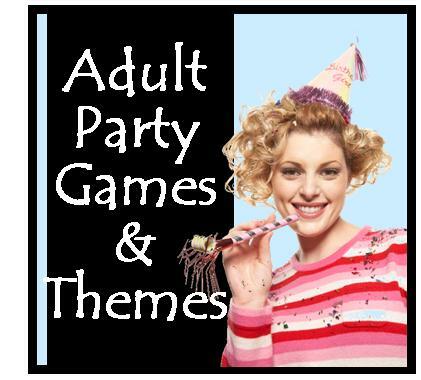 Return to our main adult party page to find more ideas for party ideas, games, and themes! 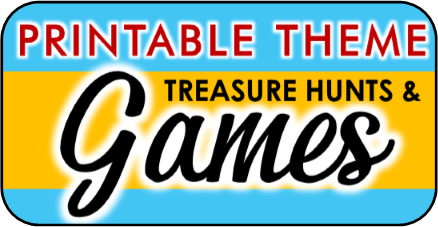 This list of board games was compiled with the idea that the success of a party game should be measured by a good time, laughter, and connecting with other people. Find fun additions to your adult dinner party games. 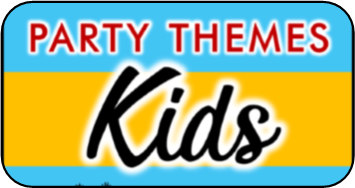 These funny party games are just what you need to liven up your party and provide you and your guests tons of laughs and memories. Most of them are D.I.Y games that require no props or ordinary household objects to play. Let me know any ideas for adult dinner party games that you have!